The Governor of Alexandria Hani Meseiri appointed on Saturday the first woman to ever take over a municipality head position in Egypt's second city. Soad Helmy is expected to take over her new position as the head of the city's central district on Saturday, Al-Ahram Arabic news website reported. 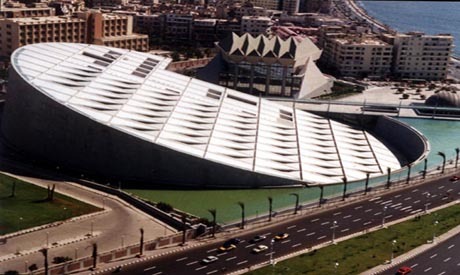 The most notable monument in the district is the Library of Alexandria. The modern library, which opened in 2002, is praised for its reading room, tilted toward the sea like a sundial and its extensive collection of books. The neighbourhood's northern border begins by the cornice, opposite the area flanked between Delta Street and the old stock exchange, and bordered from the south by Lake Mariot Bank and the Meyah El-Shorb canal.